I’ve had a make shift standing desk for months and love it. 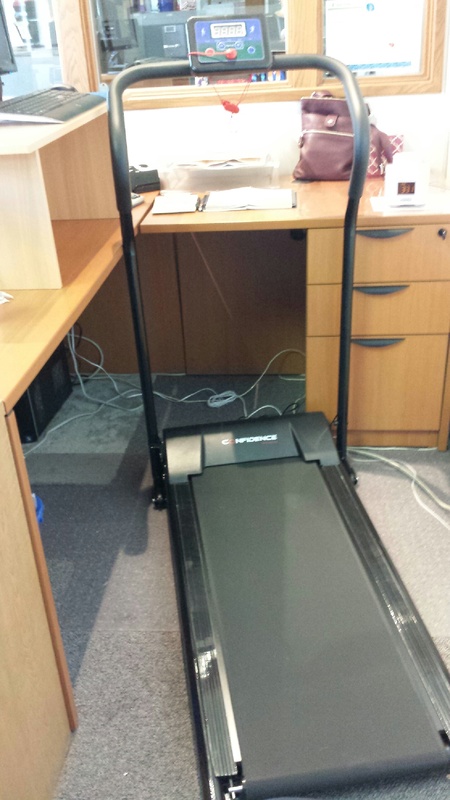 But I knew that my boss would never pay big bucks for a treadmill desk. Then Hannah told me that someone in her office bought a cheap treadmill and just removed the handles and put it under her desk. I was intrigued. Hannah sent me a couple of pictures and I was on a mission. I found the treadmill on Amazon for $200! Although my boss thought I was crazy, he approved the expense and then I waited. The treadmill arrived in 6 days. The guys helped me unbox it. I love it! It’s perfect for walking. I would not run on it and if you have big feet the base is not very wide. I have it set up so I can easily move it over for my chair. I walk pretty slow on it but I’m getting about an additional 5/7 thousand steps a day! 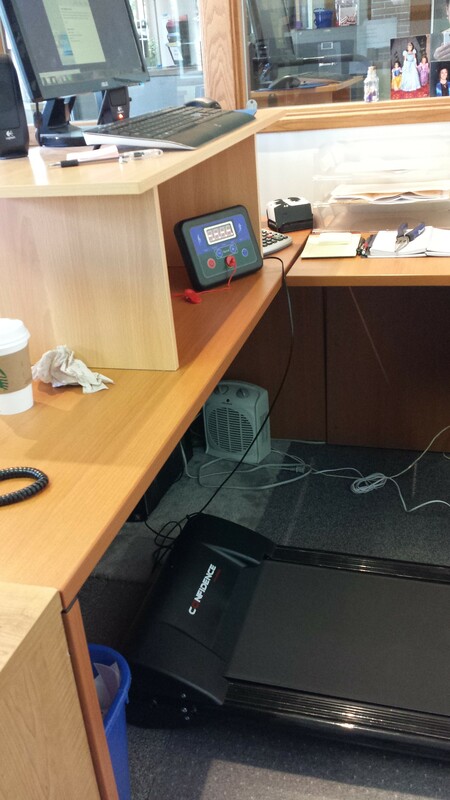 This entry was posted in Uncategorized and tagged Treadmill, Treadmill desk. Bookmark the permalink. 1 Response to My treadmill desk! This is such a great idea! Love the multitasking. And an extra few miles a day equals more cannolis, right? !